This French high-end electronics brand never takes a break! After the release of the 400 range it was clear that Atoll needed to produce an midrange product to bridge the gap between the IN200 and IN400 integrated amps – and that’s exactly what they’ve done! Unlike its older sister’s slightly quirky aesthetic, the Atoll IN300 integrated amplifier has returned to a fairly conventional design. It does, however, have a similar front panel design, with a low consumption OLED display window in the centre flanked by two large logical potentiometers: one for adjusting the volume (by rotating) and balance (by pressing down), and the other for selecting your source (by rotating) and adjusting the M/A (by pressing down). On the back panel of the Atoll IN300 are five analogue inputs, including one which can accommodate the optional Atoll P100 MM/MC phono stage. It also features a bipolar symmetrical XLR input, which is made entirely using discrete components, as well as 2 pre-outs, 1 bypass input and a tape in/out. 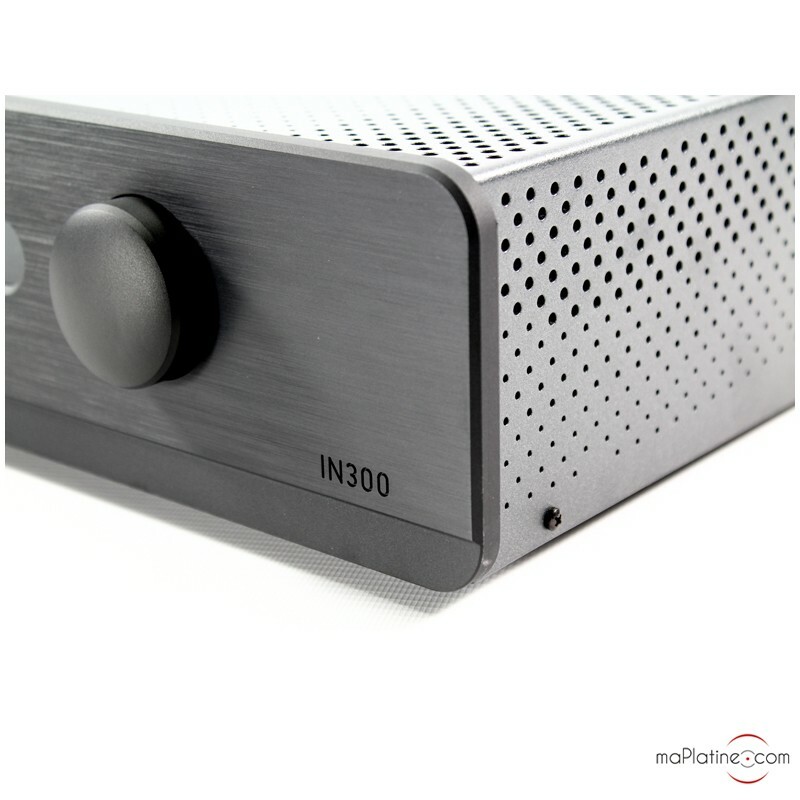 The IN300 integrated amp is also fitted with an excellent 32 bit/768 kHz PCM DAC. 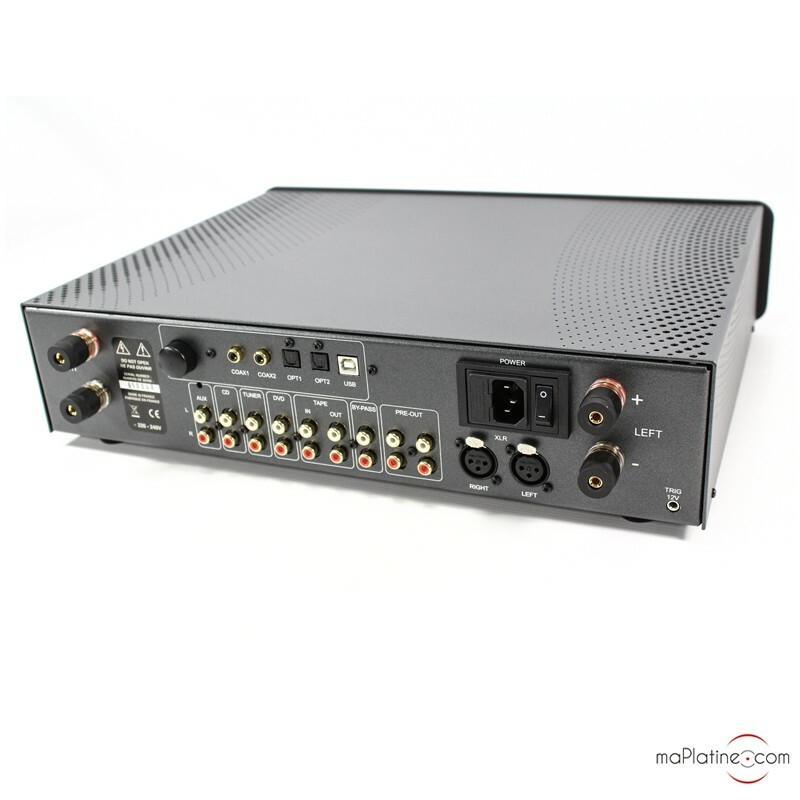 It can be accessed via 6 digital inputs: 2 coaxial, 2 optical and one USB-B. Interestingly, the DAC USB is an XMOS: XHRA-2HPA USB that uses a programme developed specifically for Atoll. To use the USB input with a Windows computer, you'll need to download a specific driver. MAC computers do not require this driver. 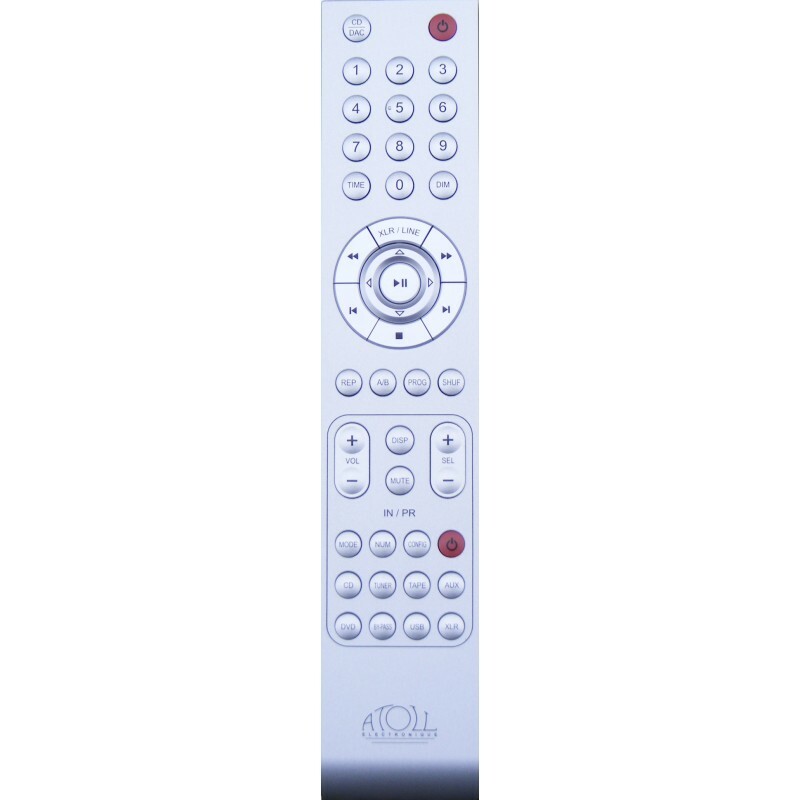 The 6th digital input can be used via a built-in Bluetooth module in the DAC. 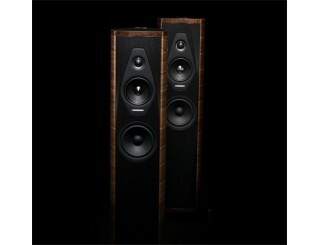 The speaker outputs have been impeccably produced, with terminals that have been milled from copper specifically for Atoll. The internal architecture is also very impressive! The Atoll IN300 has a fully dual mono design and is powered by two 440 VA toroidal transformers. The filtering system consists of 12 chemical capacitors designed specifically for audio purposes, which amounts to a total capacitance of 86 000 uF! The analogue stages use shielded Mundorf MKP capacitors and the digital stage uses high sound quality Vishay MKP capacitors. 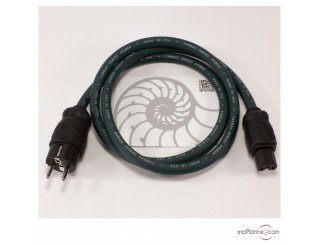 It is also worth noting that the internal wiring of the speaker outputs has been made with a high-end speaker cable. 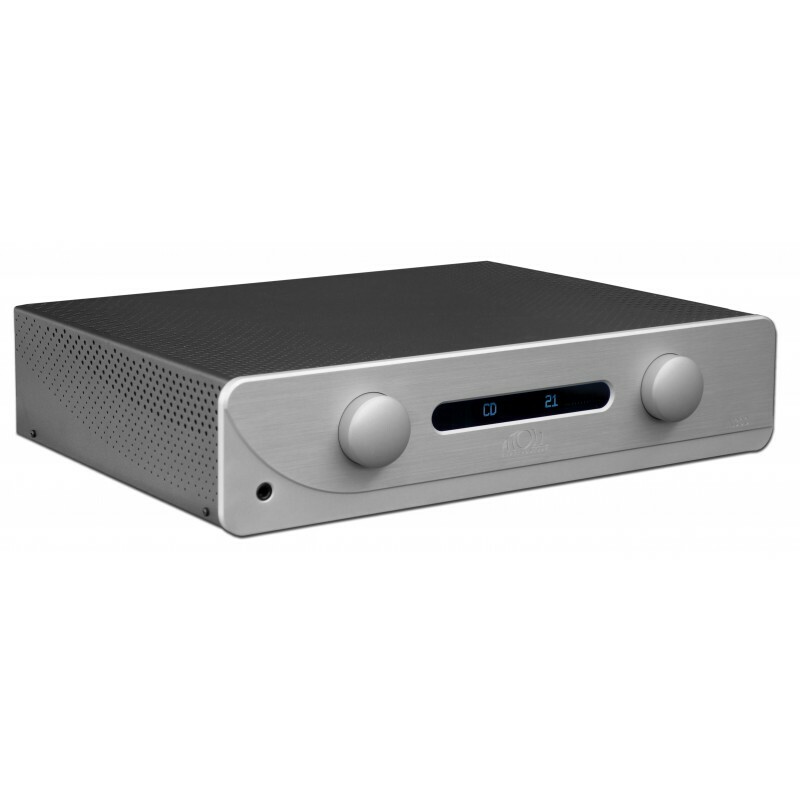 This integrated amp is hefty to hold, and we think it’s pretty impressive that such a small device can weigh 15kg! It says a lot about the production quality. Its compact size means it fits easily into your system without the need for a made-to-measure cabinet. The surface it is placed on just needs to be robust. We tested it out with a monitor speaker and two very different pairs of tower speakers (the French Focal Sopra 3 and the Italian Sonus Faber Olympica II). After leaving it switched on for 24 hours and a break-in period of approximately 20 hours (minimum), this amp clearly displayed its neutrality and nuance. 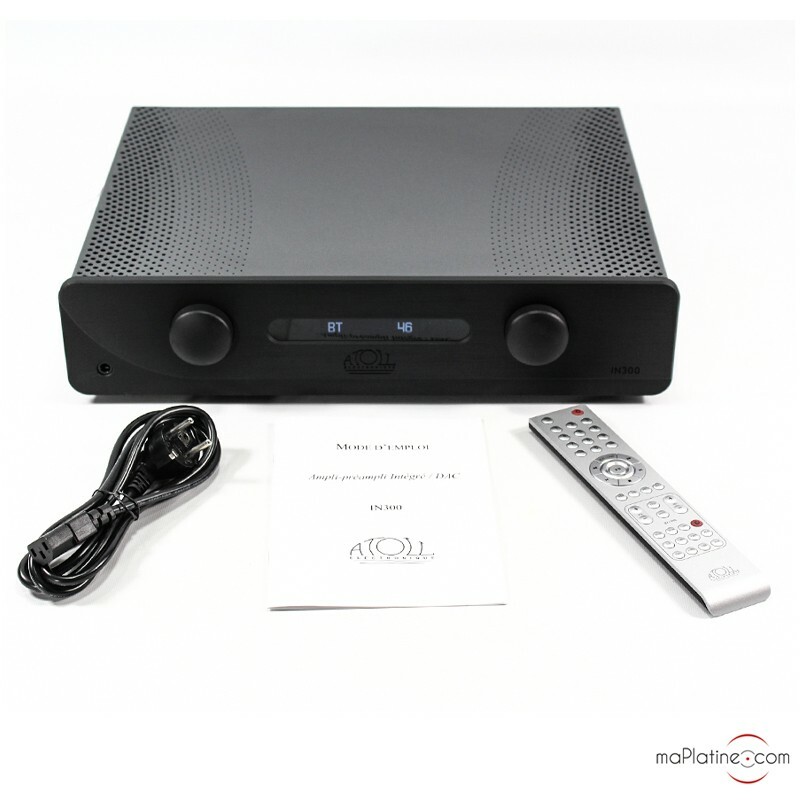 It produces a highly natural sound quality and showcases the speakers perfectly. We can’t understand why some accuse Atoll products of being too bright and clinical, as this is certainly not the case with the IN300 integrated amp! Admittedly, it doesn’t have the same fullness and presence of an MC 5600, but it has a lot more finesse and naturalness. This is not an overly effusive or expressive amp. 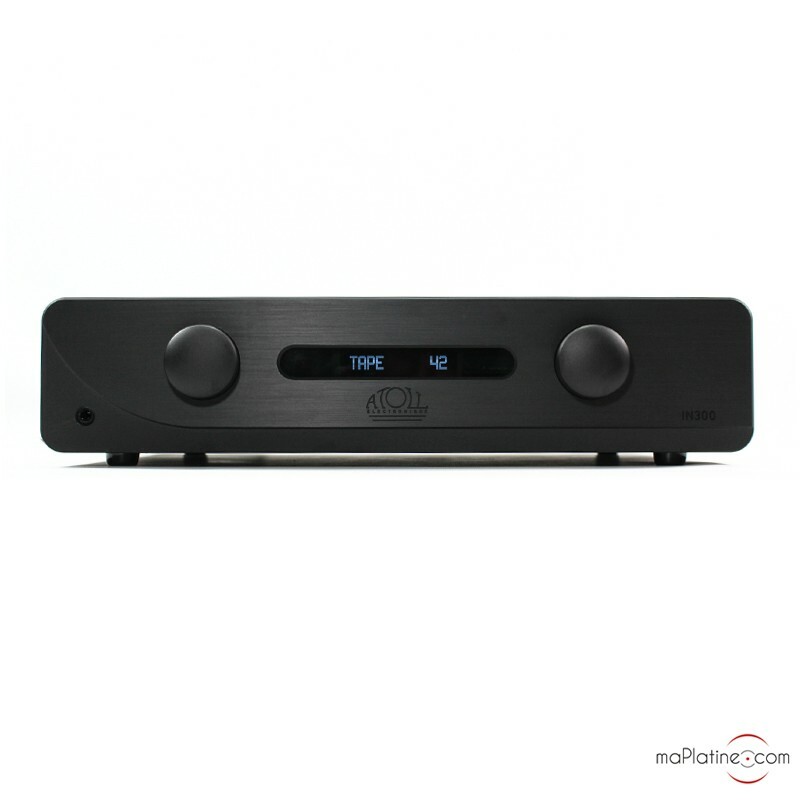 It’s designed for lovers of a pure high fidelity sound. 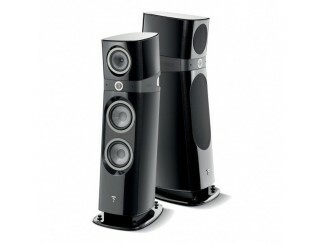 Its power capacity means it is compatible with speakers that are stubborn and worth 2 or 3 times its price! It is remarkably versatile, working just as well with analogue sources as with digital ones. 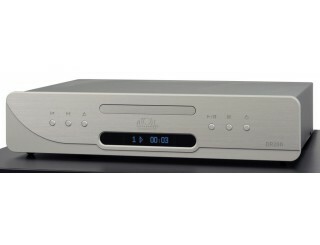 The quality of the DAC also opens up far more possibilities than have previously been available in this price range. 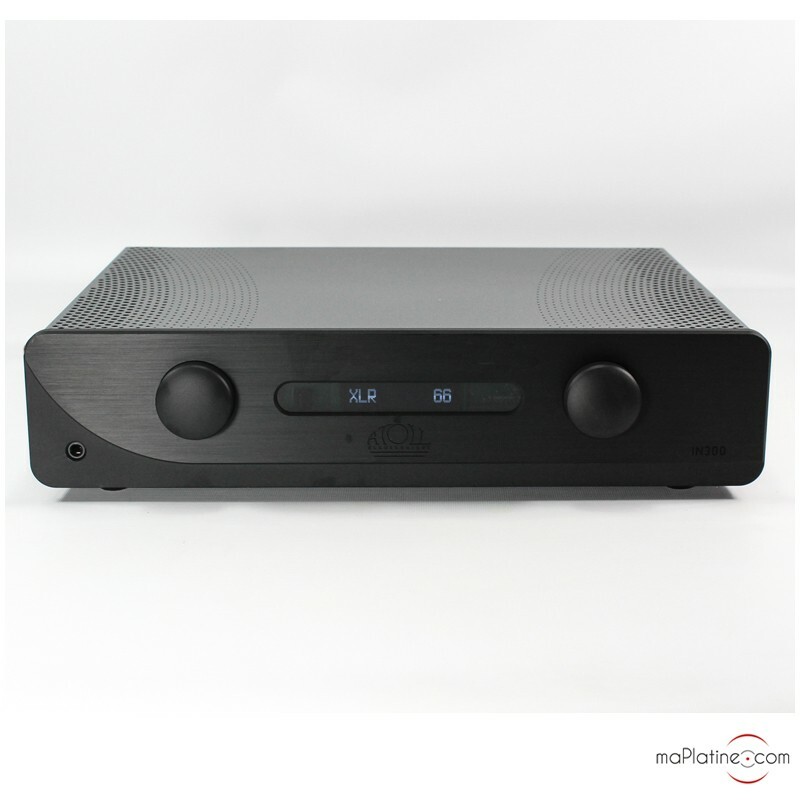 The only downside is the option it gives you to add the Atoll P100 phono stage. 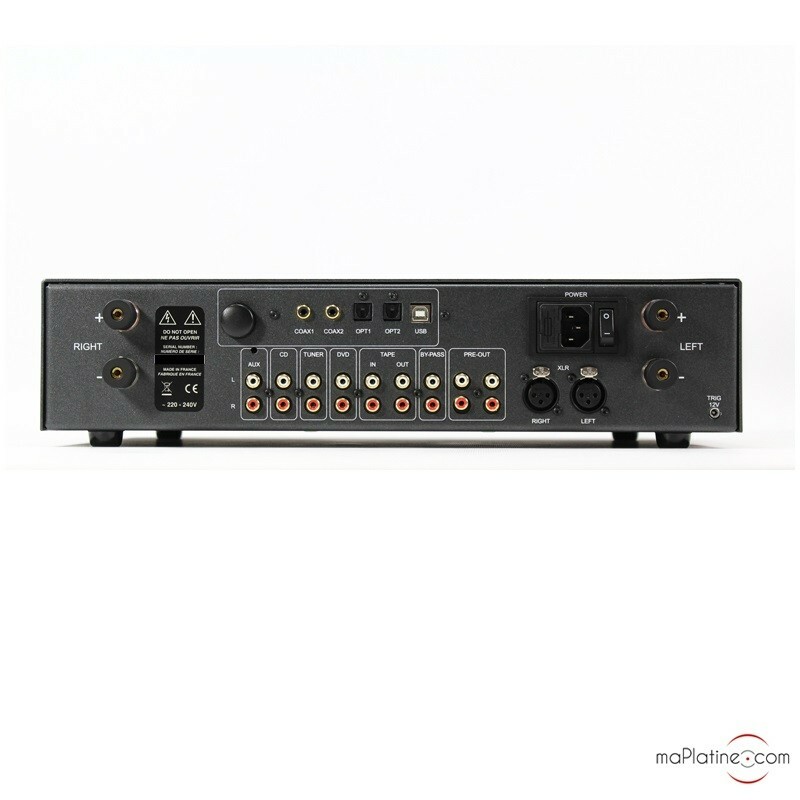 Although it is well-made, this phono stage is clearly not of the same quality as the IN300 and the vinyl turntable we would choose to pair with this integrated amp. But it’s not the end of the world – there are more than enough excellent phono preamplifiers out there out there to solve this problem! 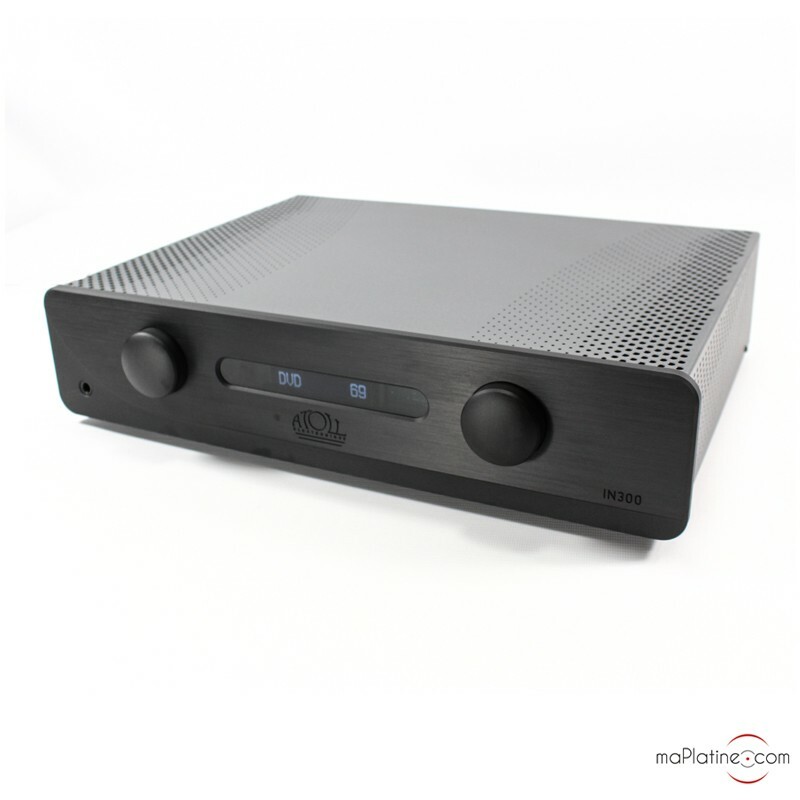 The Atoll IN300 integrated amplifier has to be one of the best, if not the best, integrated amplifiers in its range. It has everything you could want from a modern amp in terms of connectivity options and possibilities, not to mention its remarkable musicality and sound quality! We would like to congratulate Stéphane Dubreuil and his team on this homegrown French maPlatine.com top pick!